$2.5 Trillion USD. That’s the most recent estimate for how much corrosion costs us globally every year. That’s about the same as the Gross Domestic Product of the entire UK. It’s no wonder, then, that there is an international push for better ways to detect and repair corrosion before it becomes too costly. Dr Andreas Heyn of the Otto-von-Guericke-University in Magdeburg, Germany has developed methods to do just that – using algae. Just prior to 1997, a car manufacturer known for its high-quality vehicles made some extremely poor design decisions that would dent the future pride and pocket of their loyal customers. The switch to water-based paints (from the more expensive oil-based alternatives) might have made short-term financial sense, but it led to a ticking time-bomb that the automotive industry is still recovering from today: corrosion. The main issue is that corrosion – or in this case, the electrochemical oxidation of metal – isn’t visible on the body of a car until its effects have made their way through the paintwork and protective coatings to the outer layers. By that point, the underlying damage is already severe. A quick internet search reveals that this is very much an ongoing issue that has cost customers thousands of pounds in repairs. And in most cases, as the corrosion wasn’t easily detectable – it was a cost that came as a nasty surprise. The speed at which this reaction occurs is what ultimately determines the lifespan of many of our products and vast areas of infrastructure. Corrosion damages buildings, increasing repair and maintenance costs; it erodes the very framework of metal bridges, putting lives at risk unless continually managed; and it destroys any scientific and technical equipment that is required to work outside of the development laboratory, in the real world. 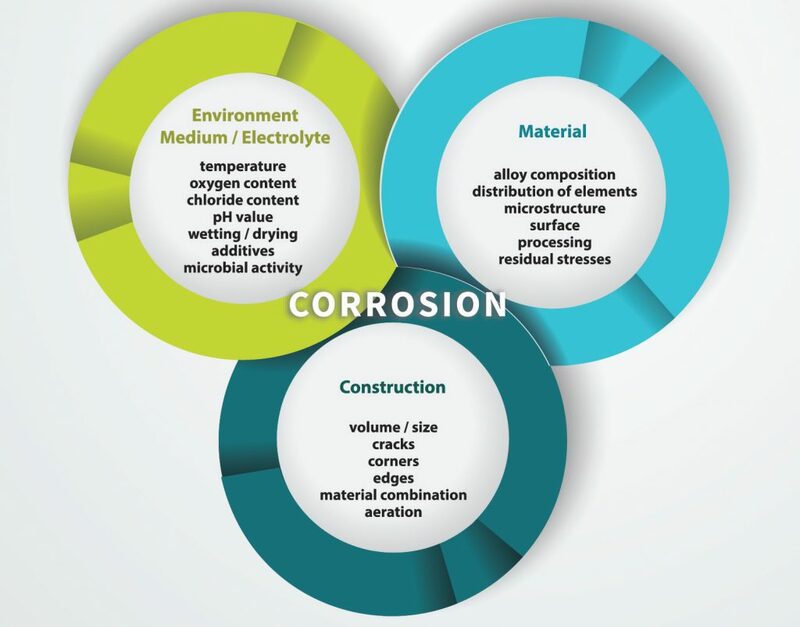 In short, corrosion is a serious problem and streamlining how we detect and repair materials affected could save billions of dollars every year. 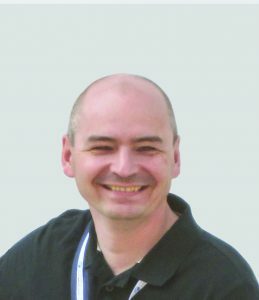 Dr Heyn and his colleagues spend their time trying to improve on the current techniques for corrosion detection – a project that Mercedes Benz and many others might be interested in. 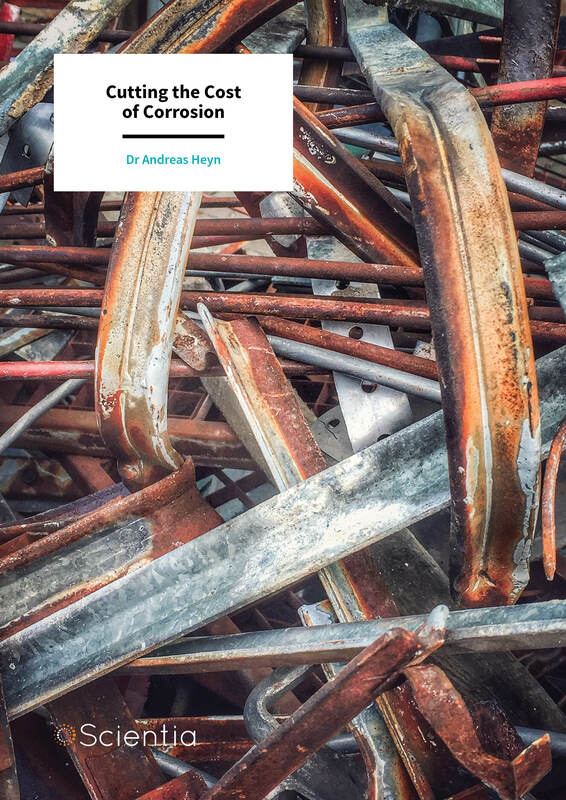 In much the same way as a doctor takes a holistic approach to diagnosing a patient, Dr Heyn believes that corrosion should be understood as a characteristic of the whole system – not just as a result of the material being used. ‘In a nutshell, this idea means that corrosion is not a sole material property, as one might suppose,’ he says. 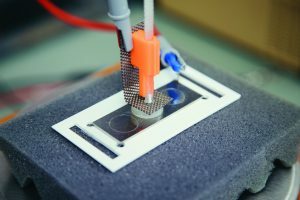 ‘Rather, in addition to the material, the environmental conditions, the surface and the construction or the technical design also play a significant role.’ Dr Heyn and his colleagues have contributed greatly to the development of a number of novel corrosion sensing techniques. In the field of sensing and measurement, it can be surprisingly difficult to extract useful information without causing damage to, or completely destroying, the sample being studied. Chemical sensing is particularly tricky, as it relies on one or more chemicals reacting with the material under study to produce something which is (usually) different. In recent years, however, a surge of research has taken place in electrochemical sensing. Electrochemical sensing uses an electrolyte (commonly a liquid solution) that reacts with a property of the material under study to produce an electrical current. In the past, this might have meant submerging an object in a beaker and measuring the electrical current across a number of probes (or electrodes) also placed in the beaker. Increasingly, however, research is moving towards the development of powerful devices and sensors, which are smaller, more mobile and provide greater benefits to the end user than their traditional, bench-top counterparts. This high mobility approach to electrochemical sensing is of particular significance for corrosion sensing as it applies to buildings and infrastructure. In these situations, it is impossible to immerse the entire sample in an electrolyte, and having the ability to ‘spit test’ weak points in a structure, for instance, could save money and lives. 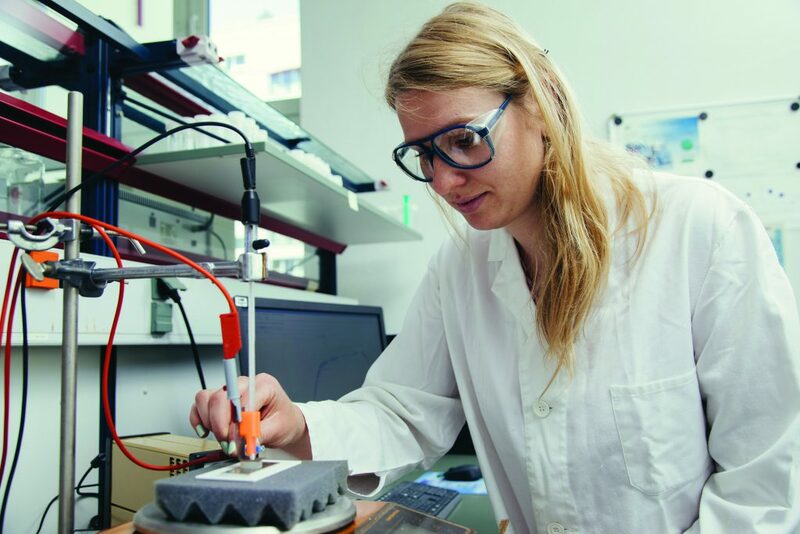 ‘Electrochemical methods have an advantage here, because with them a direct access to the elementary reactions is possible,’ explains Dr Heyn. ‘With more powerful instrumentation and software, it’s even possible today to track corrosion in real time without causing visible corrosion. This makes very fast and almost non-destructive measurements possible, in the laboratory or directly on site at the products or the infrastructure.’ Such ‘point-of-care’ testing means that there really is no limit to where his technology can be applied. To make electrochemical measurements even simpler and more reliable, Dr Heyn and his colleagues have been developing ‘gel electrolytes’. The gel they have created is based on a material called agar, which is made up of large molecules derived from the cell walls of some types of algae. Agar dissolves in water when heated, but upon cooling, the molecules organise themselves into a network structure, trapping water within the voids. To create their gel, Dr Heyn and his colleagues dissolve agar in specific liquid electrolytes – so that the agar network that forms contains pockets of this testing electrolyte. Their resulting gel electrolyte is stable, durable and highly transparent. ‘Because of these properties, unique opportunities for corrosion diagnostics arise – with this type of gel electrolyte it is easier to carry out electrochemical investigations than with liquid electrolytes, since the test electrolyte has now been enclosed in the gel and immobilised,’ explains Dr Heyn. He emphasises that he is very grateful for the financial support for this project by the German Research Foundation (DFG). 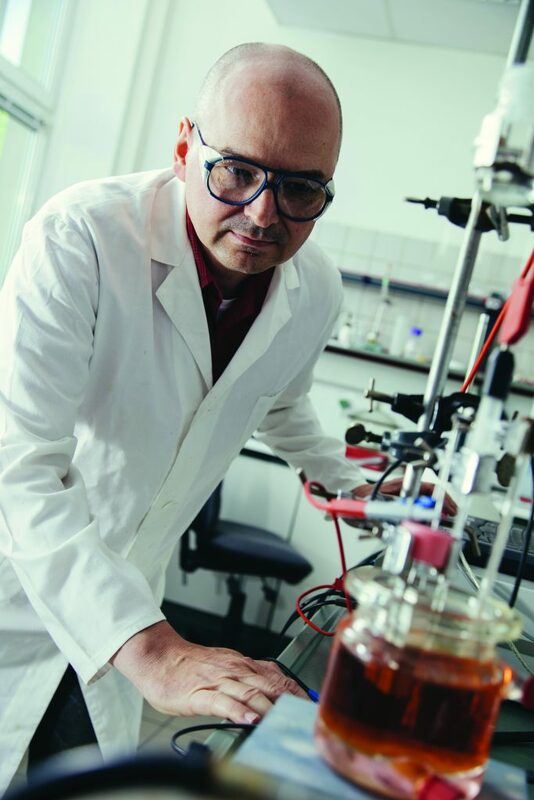 By carefully selecting which electrolyte is used at this stage, Dr Heyn can decide how the gel will react with other materials – such as the iron ions created during the steel corrosion process. This allows him to design application-specific sensors that can be applied directly to the material of interest. This ‘point-of-care’ testing approach is similar to the way a doctor applies electrode-pads to the body during an ECG. The electrolyte is no longer constricted to a bench-top beaker and can easily be taken out of the lab. In the first instance, Dr Heyn and his team chose an electrolyte that visibly changes when interacting with the iron ions released from stainless steel during corrosion – the gel turns blue when it encounters them. This quick and easy method for detecting localised corrosion is available as a commercial sensor called the Korropad. Some of the key benefits of the Korropad over other corrosion sensing techniques are time, mobility and non-destructiveness. In order to demonstrate this, Dr Heyn and his team performed some benchmarking, by measuring the corrosion resistance of steel cutlery, using the tried and tested immersion method and the newly developed Korropad. The results are startling: to achieve similar results as those obtained during a six-hour immersion test, the team only had to run their test for around ten minutes – making it 36 times faster than the standard procedure. More recently, Dr Heyn and his colleagues have been working on further developing the technology for different applications. One example is testing the protective layer that forms on top of the zinc coating on galvanised steel. As this layer forms and interacts with its environment, it changes its protective properties depending on the climate, thus changing the corrosion rate of the whole system. By selecting a different electrolyte to that used in the Korropad – one that acts like a natural wet film such as from rain or dew – Dr Heyn’s team can measure the current across the pad to provide a direct measurement of the corrosion current density. To do this, they simply apply metal electrodes (gold, platinum or simple carbon) to the gel. The corrosion current density corresponds to the layer thickness loss per year, making it easy to assess the overall state of the material. Using this new sensor, the team can easily determine what kind of future lies in store for the structure. What’s Next for the Technology? In this sense, standardisation means that the sensors will perform consistently well and produce output that can be collected and compared around the globe. The next step might take some time to complete, but the underlying technology is robust and structurally sound. So, the next time you pass over a rusting bridge – or through a forgotten playground – remember that those brown-orange patches you see are a direct indication of structural integrity and a sign that its days are numbered. Go on – it might be the last chance you ever have to play on that swing. Dr Andreas Heyn was awarded his PhD from the Otto-von-Guericke-Universität in Magdeburg, Germany in 2004, after which he worked as a postdoctoral researcher at the same university. In 2008, he was offered the position of Assistant Professorship and led another team at the Bundesanstalt für Materialforschung und -prüfung (BAM) in Berlin. Since 2015, he has been working again at the Institute of Materials and Joining Technology, where his team performs research in the fields of materials and corrosion science, corrosion testing and electrochemical methods. Dr Heyn is currently working on gel-based electrolytes for application in mobile corrosion diagnostics. Throughout his career he has received numerous awards, including the Heinz-Leuze-Award of Deutsche Gesellschaft für Oberflächentechnik (DGO) – an award for a published article which explains a significant, technical scientific problem in a clear and concise manner – on two occasions. Since 2017, he has been the chair of the GfKORR working group ‘Corrosion investigation and monitoring’. Lehmann, A Burkert, J Mietz, Investigations proofing the passive layer stability of stainless steels, Materials and Corrosion, 2016, 67, 84–91. P Rosemann, T Müller, M Babutzka, A Heyn, Influence of microstructure and surface treatment on the corrosion resistance of martensitic stainless steels 1.4116, 1.4034, and 1.4021, Materials and Corrosion, 2015, 66, 45–53.